Manufacturer of a wide range of products which include double worm reduction gear box. 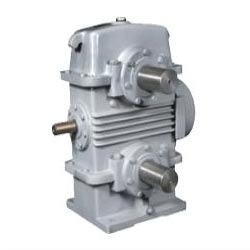 Our company is providing a broad range of Double Worm Reduction Gear Box. These products are made by our professionals who use the reliable component and sophisticated techniques. To maintain the quality, our quality checkers also inspect these products on diverse industry parameters. In addition, these products are available in diverse specifications that meet on customers demand.